Hi Friends! Thank you so much for emailing/posting your questions. I will try to do a few posts a month of Q&A. I read everything you email me, but sometimes can’t email back right away. I think it’s also helpful for everyone to see the Q&As in case we have the same questions. Here goes! Yes! 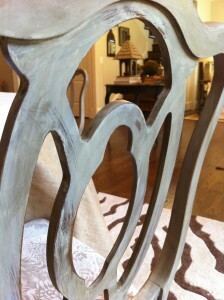 Chalk paint goes beautifully over all wood, I have found. I have not personally painted my cabinets with ASCP, but I know people who have. It will not peal or shred on you. I would consider painting and surveying the result before the clear wax process. You may like the matte look. If not, you will probably need a cheesecloth to apply the clear wax into all those corners. The colors are just so beautiful that I would choose ASCP if I were to paint my own cabinets. Good luck! “Thanks for sharing your tutorials with us! I love the steel wool tip. I was wondering….does it shed for you? I used it and it shed a lot , felt like I was sanding almost. 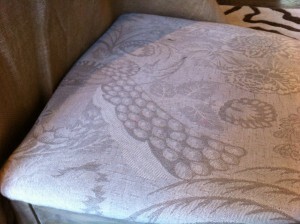 Still loved the result but I didn’t know if maybe I was using too fine of stel wool. I use the finest grade they make. Maybe I’m using it wrong? Does this happen to you? You are not using it wrong. The fine steel wool will shed a bit. Once you are done wiping away the excess dark wax with your steel wool go over it with a large DRY brush or a clean cloth. It shouldn’t be a deal breaker just because a little shredding. Yes! Paint that oak, girl! If your oak furniture is not the look you want then make it what you want! You will be pleased with the result. That is just not a straight-forward answer. Finding a piece of furniture with a color we like and we want to put in our home is so personal. It really varies. Blue Egg Brown Nest really focuses on the neutral colors because they are the most versatile and can be placed in most rooms. My sweet friend, Kristin, who owns Sweetheart Silhouettes. She did some gorgeous, large silouettes of my children that hang in my upstairs hallway. She’s very talented. Tell her I sent you! I have seen linoleum painted, but like any flooring you will see wear and tear. The paint will coat and will not shred, but, again, it will wear. I would say that if you have nothing to lose, then try it. ASCP colors are prettier than most, older linoleum flooring. I have painted metal lamps & frames and all came out beautifully. Skip the sanding process as it will not enhance the metal piece & may just scratch it up. When painting over a colored piece you have to keep in mind a few things. First, you will need sufficient layers to really cover up the color. Probably 3 coats if red. Secondly, be aware that when you go to sand that the original color will come through. If you hate the red, you will not want to sand. Simply skip that step and go straight to the dark wax to achieve that distressed look. Milk paint is a very different process than chalk paint. I have used both. 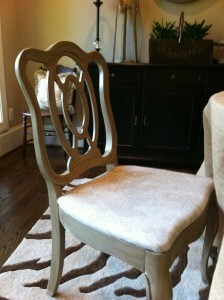 The milk paint I used was from The Real Milk Paint Company. I have not yet tried MMS Milk Paint, but recently talked to her and she is going to send me some to play with. I promise I will post on the process! 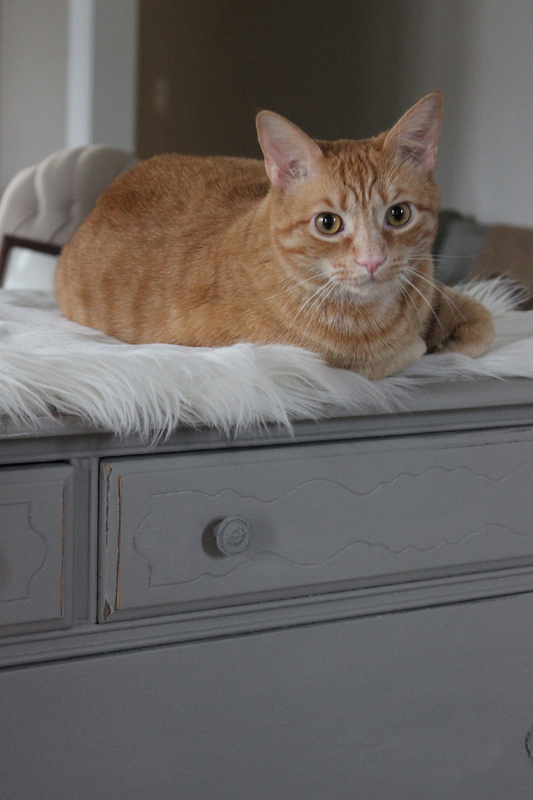 There are no set rules when chalk paint, BUT there are pitfalls. If you want to just use the dark was you will get skid marks and it will not go on smoothly. If this look works for you then by all means. I would always recommend doing your clear wax first because it will give you a smooth, slightly silky feel that will help the dark wax to take to the piece more easily. Paint that oak! 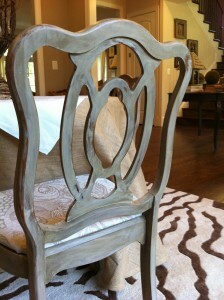 Same as any other wood when it comes to chalk paint. Just apply as many coats as you need to cover any grains that are not appealing to you. No, I can honestly say that I’ve never had any peeling or flaking with my ASCP. Like any piece of furniture if you scrape a nail to the piece the paint will scratch off, but you will not have any damage by simply putting your belongings onto the surface. I have painted furniture all over my home, as you know, and 3 kids to boot. We put water glasses on them and sippy cups and the occasional sticky granola bar. Hope these answers have helped. Post/Email any questions and I’ll be sure to answer in a post!